Join us for an Intro to Quilting class. 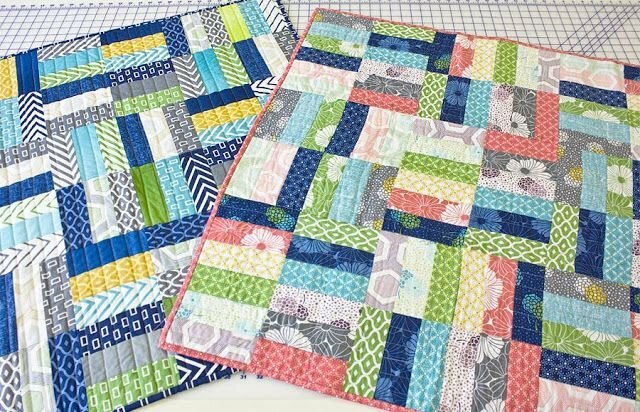 We will make a Jelly Roll Jam quilt while learning the basics of piecing a quilt top, quilting and creating a binding using your backing material. This is an excellent beginner class for quilters ages 12 and up. Lily is a high school agriculture teacher during the day, but has spent a significant amount of time teaching her students how to sew and quilt, some of whom have even sold quilts at different shows! She is a member of the Gulf Coast Modern Quilt Guild, and loves the opportunity to teachers others the joy of sewing and quilting.